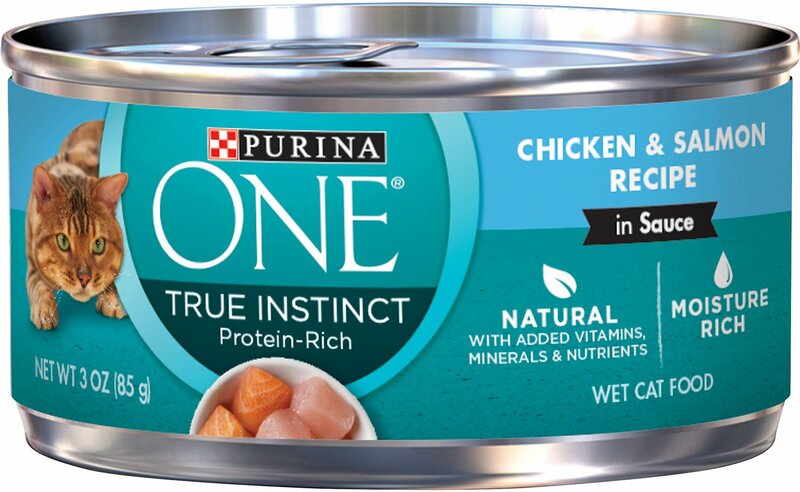 Satisfy your pal’s true instincts for real meat with the Purina ONE True Instinct Chicken & Salmon Recipe in Sauce. 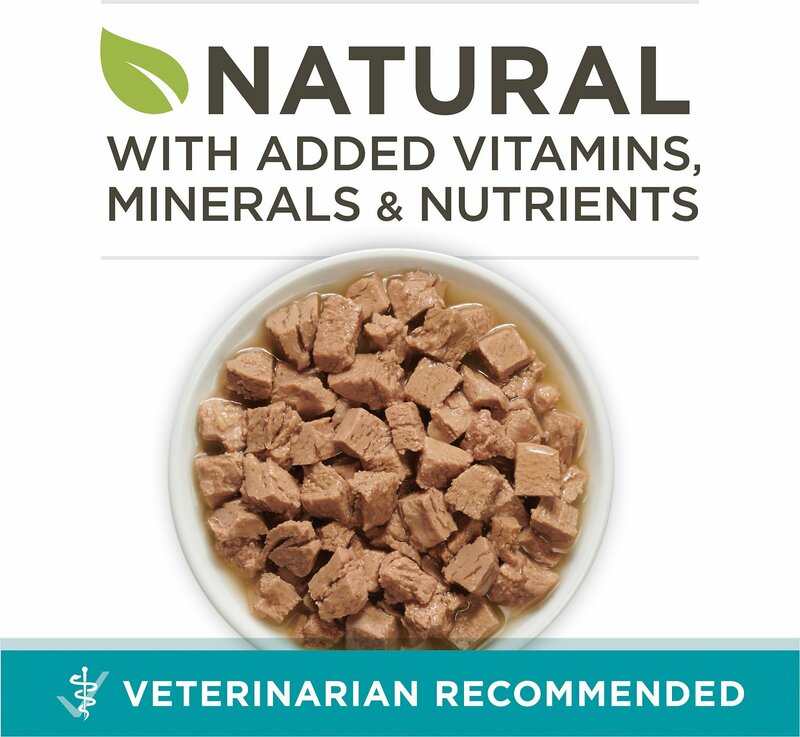 This nutrient-dense formula is made with real chicken and salmon as the top ingredients for a high-protein diet that’s great for cats of all ages. 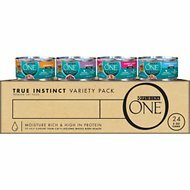 Enhanced with vitamins, taurine, minerals and antioxidants, this wet cat food covers all the bases for overall health, plus it contains omega-6 fatty acids to help support healthy skin and coat. 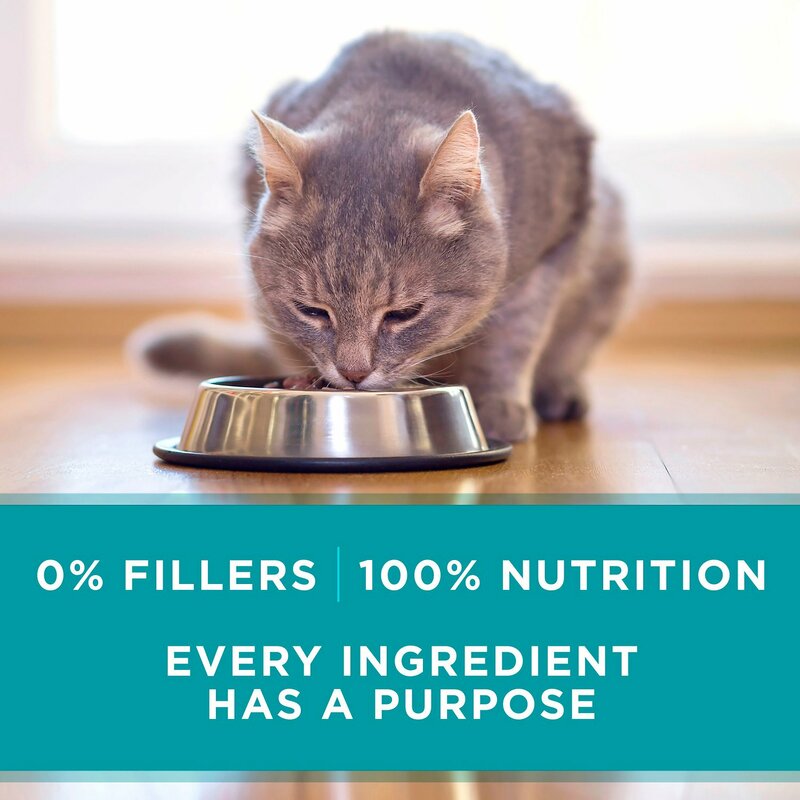 To top it all off, it comes in a delicious gravy that your kitty will find irresistible and provides essential moisture to keep him healthy and hydrated. 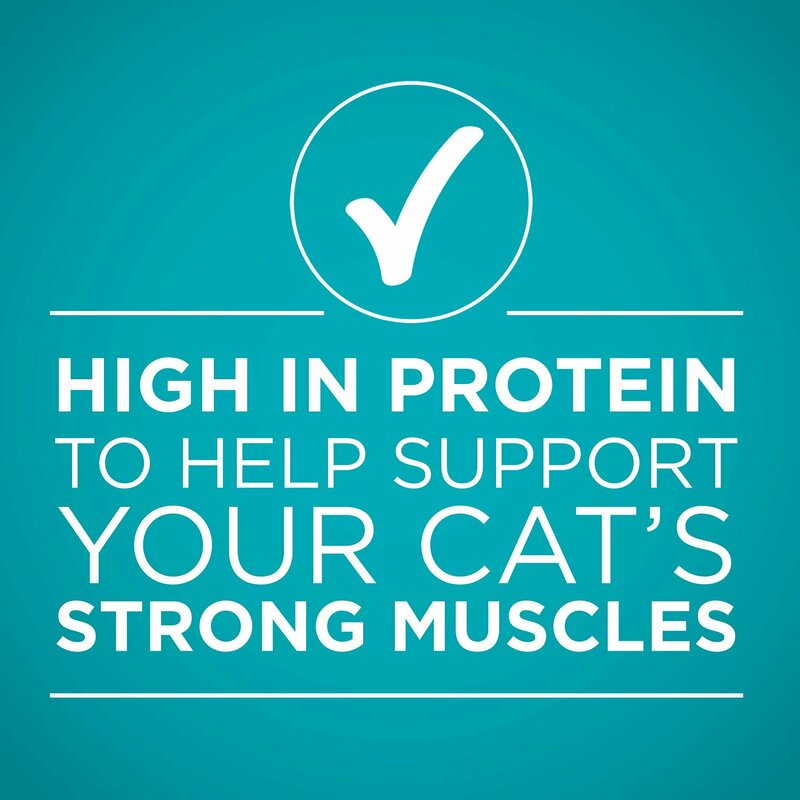 High-protein recipe made with chicken and salmon as the top ingredients to support your cat’s strong muscles. Old Formulation: Water Sufficient for Processing, Chicken, Liver, Wheat Gluten, Salmon, Meat By-Products, Corn Starch-Modified, Artificial and Natural Flavors, Salt, Minerals [Potassium Chloride, Magnesium Sulfate, Zinc Sulfate, Ferrous Sulfate, Copper Sulfate, Manganese Sulfate, Potassium Iodide], Corn Oil, Tricalcium Phosphate, Added Color, Taurine, Choline Chloride, Vitamins [Vitamin E Supplement, Thiamine Mononitrate (Vitamin B-1), Niacin (Vitamin B-3), Calcium Pantothenate (Vitamin B-5), Vitamin A Supplement, Menadione Sodium Bisulfite Complex (Vitamin K), Pyridoxine Hydrochloride (Vitamin B-6), Riboflavin Supplement (Vitamin B-2), Vitamin B-12 Supplement, Biotin (Vitamin B-7), Folic Acid (Vitamin B-9), Vitamin D-3 Supplement], Red 3. C-4336. My cat is super finicky about food but she really likes this. Nice soft chunks for her 10-year-old teeth, gravy that she laps up first (especially nice because she's not huge on water), and never a piece left in the blow. My cats give this a definite paws up!!!! This flavor is made up of large, flat pieces in sauce. My resident picky eater wouldn't touch it, but everyone else really liked it. My 8 yr old left a few of the larger pieces, which the others were more than happy to finish for her. I've since discovered that if I break the larger pieces up and add a little water to the dish once she's licked all the sauce off, she'll happily finish it. My picky eater loves this food! I started to autoship so that I don’t have to remember which flavor he likes. My Cats Lick their dishes clean! Just tried this new flavor for my cats and they love it. They cleaned their dishes and didn't leave a morsel! I am happy to try different flavors for them with this brand of food and so far they have been happy. 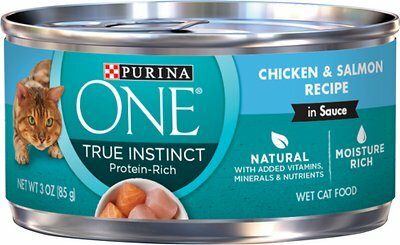 I have 4 cats and neither will eat this food unless I mash it with a fork..then they will eat it. I have tried all kinds of food from cheap to very expensive. 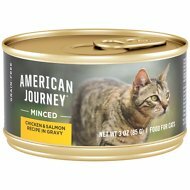 My male cat would eat anything but my female is very picky. She likes this brand. 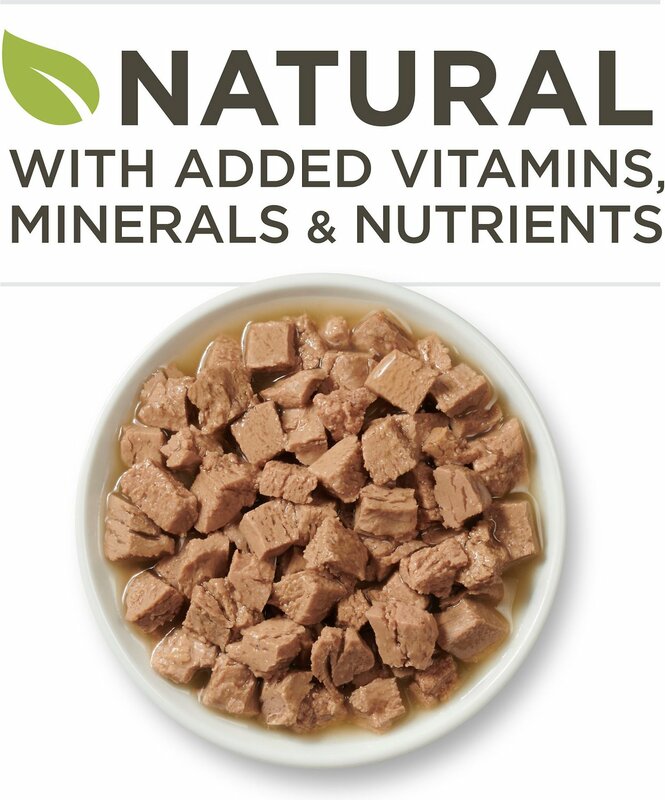 I want to give her a food that is good for her and this food is pretty good nutritionally. The point is she eats it! 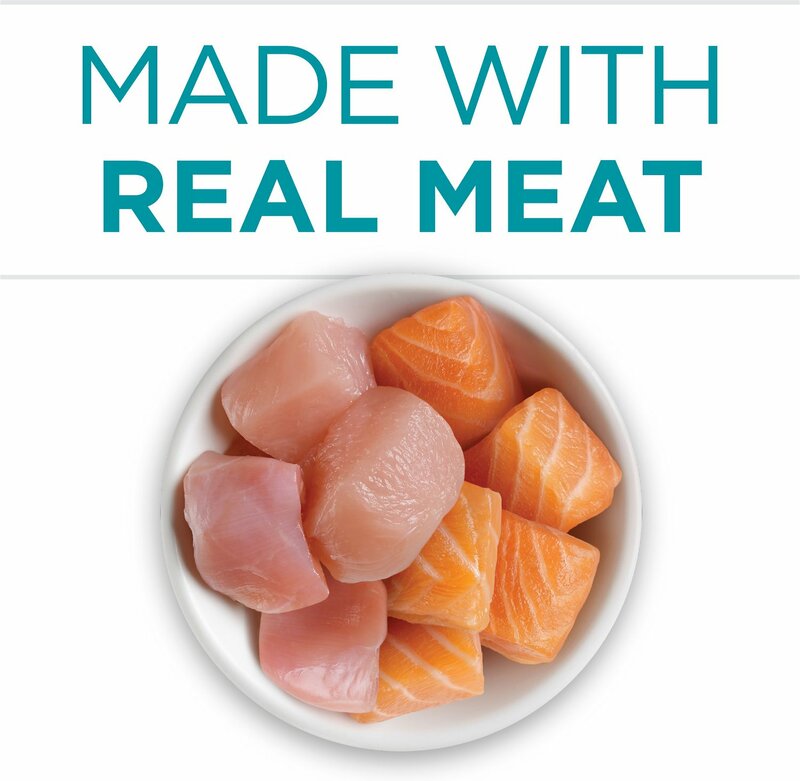 The chunks in the chicken and salmon are much bigger, not the small ones like the chicken flavor or turkey or tuna flavors and my cats won't eat the bigger chunks. Purina needs to give a better description. 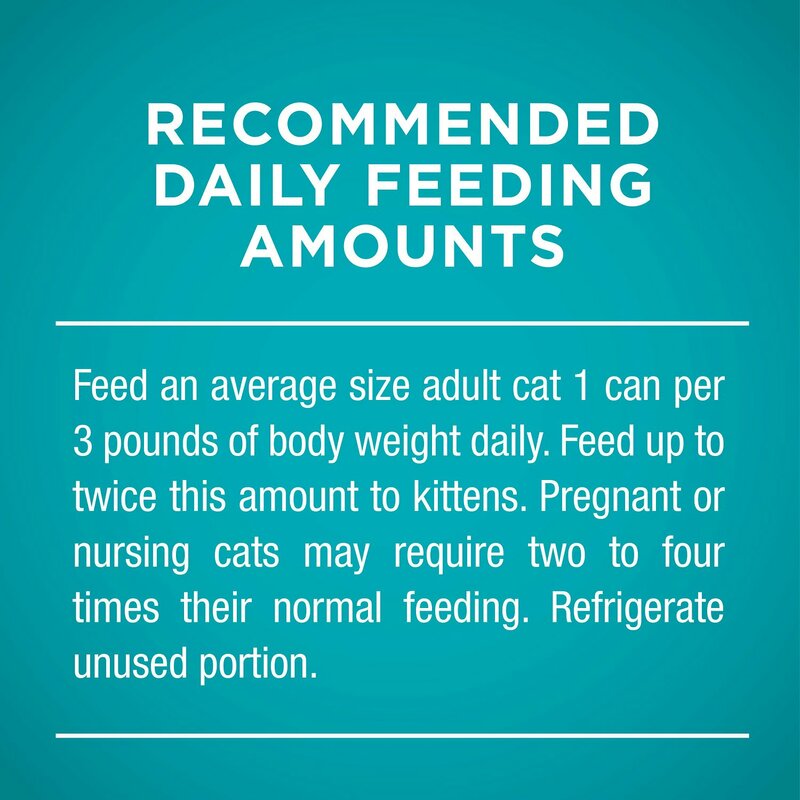 Our cats love this product! Our local grocery chains carry this product; however, availability is sporadic and unpredictable. It is wonderful to have a reliable source - Chewy - for this product. Ordering is easy and delivery is prompt. Wish we would have discovered Chewy sooner. Thanks!